As a general rule, an AdWords campaign audit should be conducted on a quarterly or bi-annual basis for existing campaigns. This allows you to find areas of wasted ad spend and areas with potential to boost ROI. For this to happen, you need to ensure the whole system for conversion tracking is in place in your AdWords account and working smoothly. Check if you’re set up to track active conversions and important KPIs on the most important pages of your website. Make sure your Google Analytics account is linked to your Google AdWords account. Google Analytics is a valuable tool for PPC audit professionals to analyze campaign performance from different perspectives including acquisition, behavior and conversion. An AdWords campaign audit should be done at several levels including at the campaign level and at the ad group level. Make sure you’re allocating maximum budget for a campaign you think is likely to deliver the most impressive ROI. Don’t forget to set a daily budget as this will give you greater ad spend control. 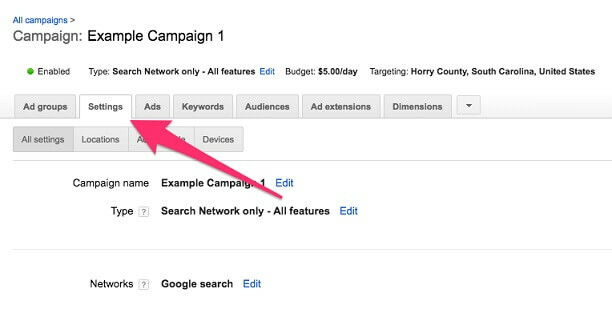 Also at the campaign level, make sure your campaigns are optimized to target the most lucrative device platforms. During the PPC audit, make sure you’re targeting and allocating more budget to geographical locations that you consider to be most important for your business. Make sure your campaigns are adjusted to run at the most profitable time periods according to time of day or time of week. Implement day parting for effective control of ad spend and as a way to ensure ads run when you think they will have peak visibility. 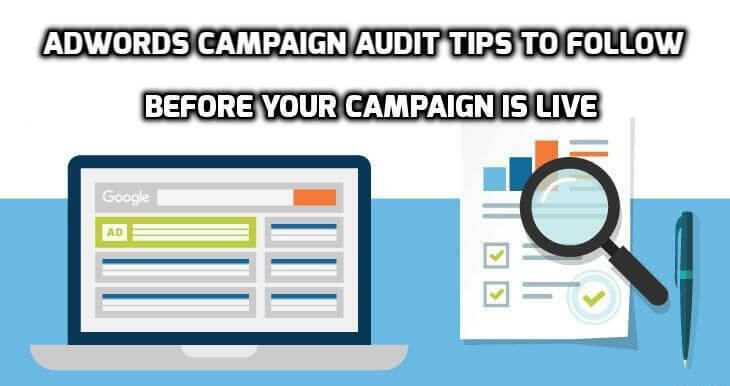 Advertisers and even some unprofessional agencies offering such audit services overlook the importance of the delivery method within a campaign. During the initial phases, you want to have more visibility for your ads and collect more impressions which you can achieve by changing delivery method from ‘Standard’ to ‘Accelerated’. Make sure that your ad groups are organized neatly and you’re allocating more budget to ad groups you think will deliver superior returns. Make sure each individual ad group has a single theme and everything including keywords, ad copy and landing pages are relevant to it. Limit the number of ads in each group and review if each ad has two or three variations. Take care of small details such as correct grammar and spelling so that ads appear clear and professional. Ensure you’re implementing relevant ad extensions for your business model as this can obtain higher CTRs and conversion rates. 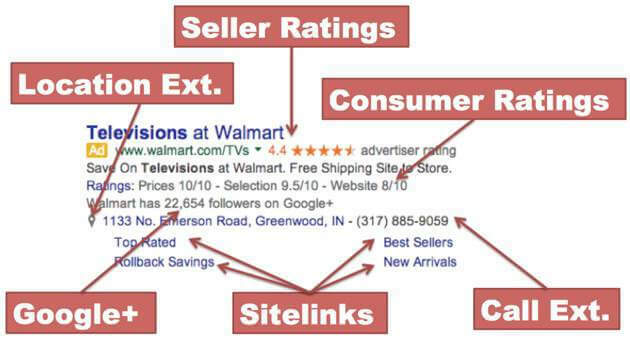 Ad extensions also factor in your Quality Score and can lead to lower average cost-per-clicks. Choose pertinent ad extensions you are confident will drive KPIs. In PPC search campaigns, you bid on keywords. While bidding, you need to choose a Keyword Match Type. Ensure that each keyword is optimized to the most appropriate Keyword Match Type – this will inform Google how restrictively or actively you want your ads to match search queries. The right combination will help you reach target audience while cutting unnecessary spend on irrelevant clicks. Don’t expect miraculous returns in the early days of your campaign being live. Professionals offering PPC audit services review campaign performance data at least twice or thrice a week in the beginning month and make appropriate changes to derive better outcomes that are aligned to campaign goals.